The Ryder Cup follows somewhat of a different structure to other major golf tournaments. Battled out between two opposing teams that strive for gold with each and every swing the tournament is a series of breathtaking shots as you gasp for air when the ball hits the green. The Ryder Cup is a golfing contest between North America and Europe that swings into action every two years. An earnest rivalry exists between the two participating continents, with a friendly and kind smile, gentlemen grace the course set to claim bragging rights for the following two years. The tournament is very much a team affair with brilliant camaraderie at every hole. Featuring intense golfing sessions, the Ryder Cup affords sports enthusiasts with the opportunity to participate in one of the worlds most loved golf tournaments. With some of the worlds greatest golfers competing, the Ryder Cup attracts global attention, allowing for a truly immersive and solid state of golf over the tournaments duration. The Ryder Cup began in 1927 at the Worcester Country Club, in Massachusetts, United States. The tournament found its roots with only two countries going head to head, Great Britain and the United States of America. Bestowed with the name Ryder Cup, the tournament takes its name from English businessman, Samuel Ryder who donated the trophy. 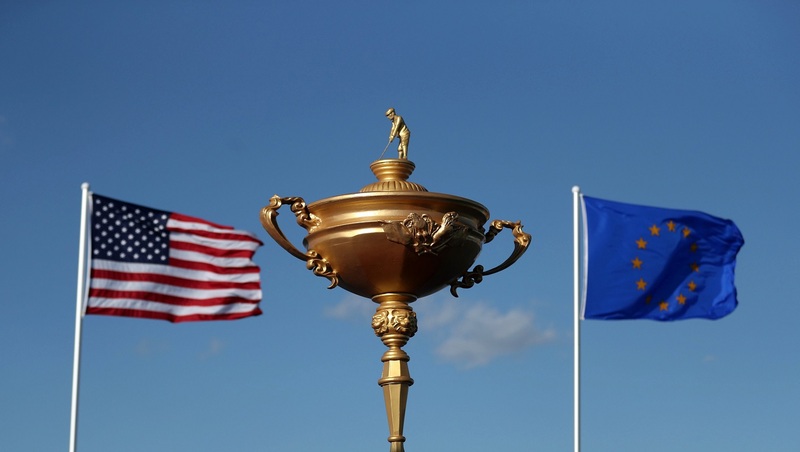 Today the Ryder Cup sees players from all over Europe and America doing battle for their respective countries honour. Each team has an appointed captain. The captain is usually a senior champion golfer that has several vice captains below him to provide encouragement and support. The captain will place each of his twelve players on strategic points on the course to ensure a rewarding game. Unchanged since 1979, the Ryder Cup lasts for three days and features twelve of the best golfers from each continent. The aim of the contest is to obtain the majority share of points available on the board, with 28 in total on offer. The team that obtains 14.5 points first wins the contest. The tournament follows a match play structure as opposed to stroke play that nearly all other major golfing tournaments make use of. A match play style disregards each individual stroke and a winner is chosen per hole. The Ryder Cup is filled with electric moments that will have your hair standing on edge. You can never tell which player might duff towards the end of a hole. With this in mind you need to be prepared for major upsets, particularly when wagering on the golf event. It’s a bit of a gamble and if you’re a fan of wagering opportunity the look out for an online casino NZ that also offers you the opportunity to bet on the Ryder Cup. Te best part about the Ryder Cup golf event is the camaraderie between the team-mates from each respective country. The best in golf unite under an umbrella to claim their very own bragging rights to a historical journey that is battled out annually. If anything, you simply must sit back and enjoy the tournament for what it brings to the table in golf.